Regulatory compliance deals with a set of rules and guidelines that any organisation is required to conform to for transparent proceedings of the entire operational activities of the organisation. With the advancement of technology, various patterns of financial risks are on the rise which need to be determined. As a consequence of this, organisations are obligated to integrate a financial compliance system within their operations to be capable of combatting any disruptions caused in the system which might lead to potential risks of financial crimes. Acts of financial crimes can be performed by individuals or organised criminal bodies by exploiting the operations of an organisation or stealing the identities of any individual. It can be conducted with a number of unlawful and innovative activities which may cause the victims to face events leading to financial breaches. To manage the prevention of such criminal activities, individuals who hold positions in the compliance area of any organisation are expected to have an understanding of the aspects of financial crimes and methods of carrying out probe investigations in an effort to tackle such crimes. The curriculum of these crime prevention training courses essentially comprise of the basic understanding of financial crimes and the risks associated with them, money laundering cases, corruption and tax evasions, identity thefts, the range of frauds, fraud response policy, producing dossiers for effective monitoring of potential disruptions in the operational proceedings of an organisation, and the laws and regulations that encompass financial compliance. The courses are categorised into separate levels corresponding to the level of understanding of the participants on the context of the financial crime agenda. The introductory level is basically for participants who are required to know the risks associated with financial compliance and strategies in management of the risks. 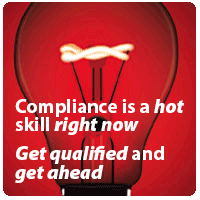 The advanced level is for participants already involved in the compliance sector of an organisation who have an understanding of the financial crime background and are looking for developing skills for effective promotion of compliance procedures. These courses are beneficial for individuals who are looking for positions of compliance officers, financial crime investigators and for those who are involved in these roles looking for promotions in their respective fields. Positions such as the Money Laundering Reporting Officer are a crucial role to play in the compliance department of any organisation and individuals seeking for a challenging position such as this one will find these courses greatly suitable for opportunities in the various renowned enterprises.